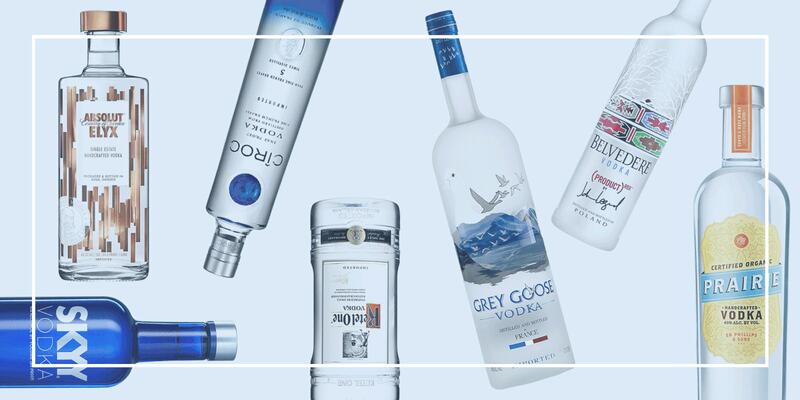 The drink we both love and hate, vodka is one of the most popular choices of beverage in the world. These are ten facts about vodka we bet you didn't know. Discovering interesting facts about your favorite spirit will not only allow you to recognize it's uniqueness, but appreciate the drink more. The drink we both love and hate, vodka is one of the most popular choices of beverage in the world. Whether it has supplied you with one of the best nights of your life or an unfortunate morning, vodka has left a memory with everyone who has had a few drinks of it. These are ten facts about vodka we bet you didn't know. It's one of the purest drinks. Created with sole ethanol diluted with water, vodka is one of the purest drinks in the world. To start off our list of the most interesting facts about vodka, this may come as a surprise to many. No sugar, no yeast, fat, sodium, cards, or cholesterol, just the two ingredients of ethanol and water. And because of this fact, it is one of the best drinks to have to avoid clinging to the porcelain throne the next morning, believe it or not. When thinking vodka, you wouldn't typically think "pure," but it is one of the best alcoholic choices to make when considering the ingredients you're putting into your body. Vodka can be used to tighten your skin and shrink your pores. Vodka has a surprising amount of health benefits, but they typically come from not actually ingesting the beverage. As one of the most amazing facts about vodka, it can be used to tighten skin and shrink pores. This is done by using water to dilute the vodka, adding it to a cloth or towel, and dabbing the mixture directly onto the skin. The vodka will kill bacteria, firm the skin, and even act as a pore shrinker. It has also been discovered that vodka will leave your skin looking dewy and glowing. The benefits of vodka have been discovered by the beauty community, and there is a category of face toners, masks, scrubs, and cleansers that all have the common ingredient of vodka. Along with this same topic, it has also been proven that vodka has been used to promote hair growth and even rid foot odor. It's a helpful and cheap cleaning product, for pretty much everything. You can purchase vodka for very cheap and discovering the cleaning powers of it will replace all of your most expensive house cleaners, without a doubt. As an easy to use, strong, and durable cleaner, any type of vodka can be used to clean your home. Plus, it will act as a natural disinfectant as well. Simply add some vodka to a spray bottle and you'll be able to clean most surfaces, soap scum, bed dressings, grease, oil stains, toilets, towels, and even wine, grass, or vomit stains. It can also remove odors, create streak-free shine on glass, and buff chrome for a natural shine. The options are limitless, and if you've got an at-home problem, vodka will more than likely be able to fix it. It can kill all of your weeds in your backyard. Forget using pesticides to remove those pesky weeds in your backyard. Instead of purchasing new products for this annoying task, one of the best facts about vodka is that they work as a weed killer. Purchase the cheapest bottle of vodka from your local liquor store, dilute it with a bit of water, and add a few drops of liquid dish soap to your mixture, and you have an easy to make, and even easier to use weed killer, without having to use pesticides in your backyard. Just add the mixture to a spray bottle and spray the concoction directly onto your target, and you'll have a weed-free backyard in no time. Vodka can be used to make aftershave. Ever wonder how to make homemade aftershave? Well, vodka is a key ingredient to creating a cheap and practical formula for all your shaving needs. Hildablue has created a great step-by-step instructional that takes you through a great homemade formula for vodka aftershave. His formula includes four ounces of vodka, Jamaican rum, dried bay leaves, cinnamon, nutmeg, clogs, and zest from a clementine. He explains that vodka is a great ingredient to use in products like aftershave and perfume because it doesn't have much of a scent, and can be easily masked with other ingredients. So take some of that extra cheap vodka laying around your house that you'd rather not drink and put it to good use. It's been consumed in space. Would you be surprised if I told you that Russian astronauts were the ones to drink vodka in space? As one of the most amazing facts about vodka, NASA strictly prohibited alcohol from being brought to space, for seemingly obvious reasons. However, this had no effect on Russian cosmonauts. This information was released by a former cosmonaut, and the fact is that Russian doctors sent alcoholic beverages to space for years. To be more specific, pouches of vodka was sent aboard the Mir Space Station. It was a tradition to drink, and there was even cognac on board. This was given to the astronauts by their doctors, recommended as a way to stimulate their immune systems. NASA still stands by their confidence that American astronauts have not used alcohol in space. The most expensive bottle is priced at $1.3 million, and it was stolen. Last housed in Copenhagen, Denmark, the claimed most expensive vodka in the world is called Russo-Baltique. It was last located in a bar called Cafe 33, which has over 1,200 types of vodkas. The bottle was stolen from the bar on January 3 of 2018. The bar's bottle was loaned by a Russian businessman, and was worth approximately $1.3 million. The reason for its price was the 6.6 pounds of gold and 6.6 pounds of silver for the body, completed with a bullet-proof glass bottle and diamond-encrusted cap. The cap is in the shape of the Russian Imperial Eagle, and the front of the bottle features a photo of a vintage car, a reference to a Russian car manufacturer that is also the name of the vodka. The bottle has also been featured in season three of House of Cards. The bottle was found three days after it was reported stolen, but was unfortunately found drained. There's even security footage of the thief finding the bottle inside the bar, dressed all in black with his face covered, and sprinting to the door with the bottle in hand. It was recovered at a construction site in Copenhagen, the bottle still intact. However, no arrests have been made. Sadly enough, vodka actually has an expiration date. As one of the most surprising facts about vodka, a bottle should be consumed over a 12 month period after being opened. However, the alcohol won't necessarily go "bad," and instead, it will be considered weaker, and deliver a different taste. If your bottle begins to smell off, have a different appearance, or an entirely different taste, it is important to discard of the bottle, and not drink it, even mixed. This will likely make you sick. If you have a vodka bottle that you have never opened, you won't have to worry about this expiration. You can leave a bottle of vodka unopened for years and it won't go bad. Vodka was originally sold in 12.3 liter buckets. From the first inception of vodka in the 8th century all the way to 1885, vodka was sold in 12.3 liter buckets. Just the thought of vodka being served in buckets, let alone as large as 12.3 liters, makes my skin crawl a little. But to extreme vodka lovers, maybe they wish this packaging trend never ended. But just imagine the cost of these buckets nowadays, that alone is reason to celebrate the later introduced smaller bottles. And who doesn't love those tiny shot bottles that look hilariously cute? Vodka was originally created as a medicine. To complete our list of the most amazing facts about vodka, we couldn't forget about the fact that vodka was originally created as a medicine. Vodka can actually be healthy, with moderation of course. By drinking vodka every now and then, it can keep your arteries healthy. It even acts as a cold sore remedy. Plus, it has been used to break even the highest fevers and is proven to help reduce stress and even toothaches. If that doesn't surprise you, I don't know what will. Because let's face it, vodka has made us feel like our body is rejecting us at least once in our lives, hasn't it?